On the North side of Little Falls, just off Haven road, the Clifwood Motel built 1928 has been a solid pillar of the community, offers 18 rooms for rent at a good price. With newly remodeled bathrooms, and bedrooms the rooms have a simple yet elegant feel and a warm and inviting demeanor. The curbside parking also makes it very convenient when traveling. Being just on the north side of town, there is a Dairy Queen, and a Casey's General store next door. 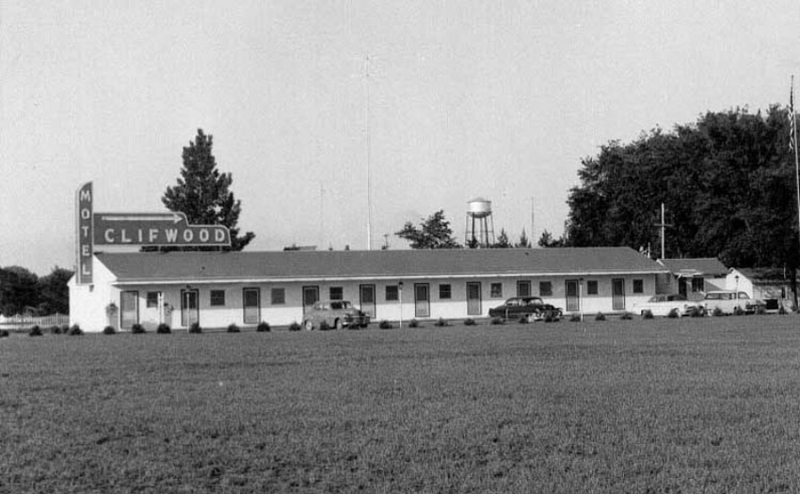 Designed for the experienced traveler the Clifwood Motel was inspired by co-owner and Dalston native Bethany Rawlings’ love for mid-century modern design. She’d become a fan of it while getting her master’s degree in Architecture in Los Angeles, California. Her passion paired well with fellow owner and childhood friend Oliver Sears’ penchant for Scandinavian aesthetics.